For a variety of reasons, both within my control and outside of it, this has been an especially long week. I’d almost argue that I’ve lived ten days since Monday. Almost. The trouble with weeks that are particularly long and exhausting is that we spend so much time counting down to the weekend and wishing the hours away, it’s easy to miss all of the goodness that fills those long hours. But the goodness is there. When you spend your day with children, there is ALWAYS something good. Student: Is that the vocabulary teacher book? Are you checking the answers? JB: No, this is a different kind of teacher book. 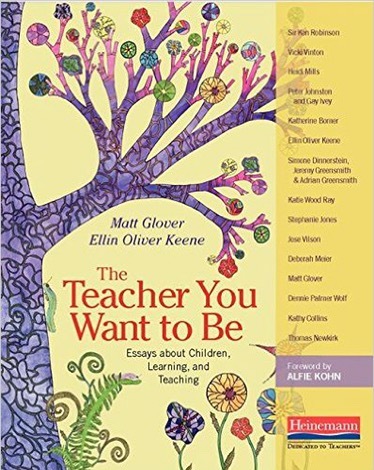 It’s the kind you read to help you become a better teacher. Student (completely serious): Ugh. Throw that junk in the trash! You’re already a really great teacher! JB: (Whilst trying to keep my heart from melting right out of my chest) Well, I’m glad you feel that way, but the only way to be a really great teacher is to never stop learning. Student: (turning to walk away) Hmph. That sounds like a lot of work. Indeed it is, man. It is A LOT of work. Like a panic-inducing, mind-numbing, never-ending mountain of work that we teachers attempt to climb every single day. Some days, we even have to start at the bottom more than once. But every once in a while, for the most fleeting and miraculous of moments, we make it to the top of that mountain. Whatever you do, friends, don’t forget to savor those moments. Stop and enjoy the view, for the work returns and the climb must begin anew tomorrow. Teaching is a lot of work. But it’s also a whole lot of awesome.